Port of Brisbane Pty Ltd (PBPL) understands the key cost and value drivers for businesses when assessing relative strengths of potential sites and property locations. The Port of Brisbane must be considered as an option for a strategic logistics location for four key reasons. 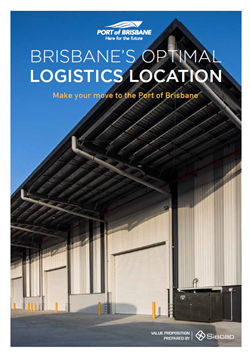 For more information, contact us or download a copy of the detailed report Brisbane’s Optimal Logistics Location by Siecap.